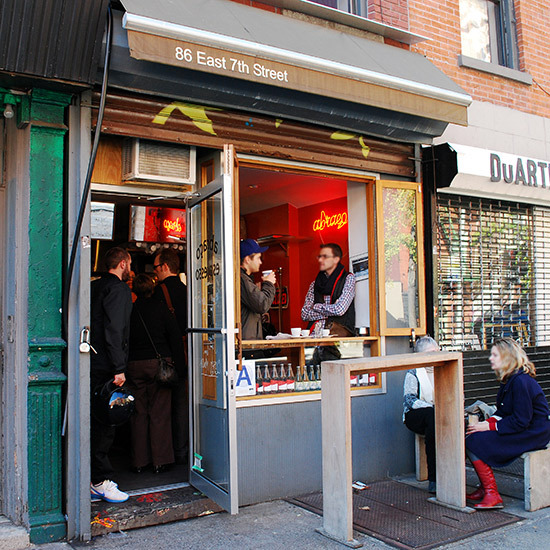 Australian roaster, Toby Smith, who cut his teeth in Brazilian and Guatemalan coffee institutions plopped down in New York (with four locales). His first in Williamsburg, gives his rich, strong beans their powerful flavor profile. 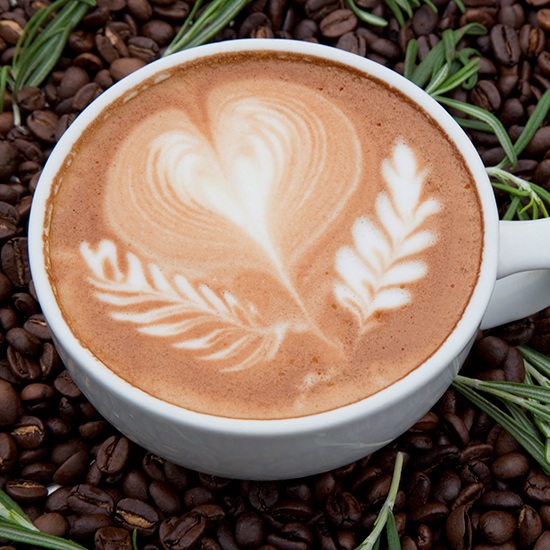 Opt for the signature Flat White with two shots of espresso, textured milk (sans foam) or order a cup of Brazilian Monte Alegre. 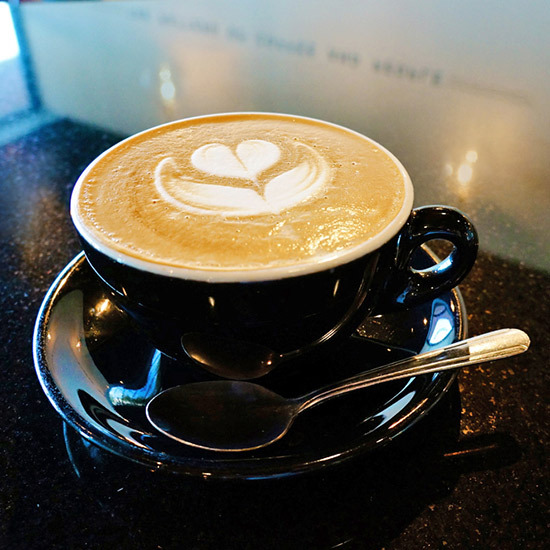 Co-owner Jamie McCormick and his baristas make some of the city’s strongest and finest espresso drinks while chatting away with regulars at this standing-room-only café. The space only fits a handful of customers at a time, but there’s a sidewalk bar outside for lingering over a cortado and fantastically savory black-olive shortbread cookie baked by partner Elizabeth Quijada. Denver’s coffee scene is booming and the four-year old Boxcar uses small batches of beans roasted in a German built Ideal Rapid roaster. They also helped develop Boilermaker to brew coffee at Colorado’s high elevation and low boiling temperature. 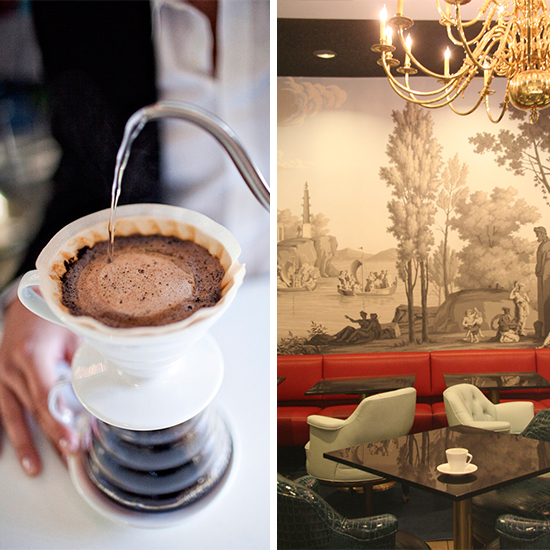 In the tradition of classic “cowboy coffee” – the grounds are immersed in boiling water to extract the best flavor. 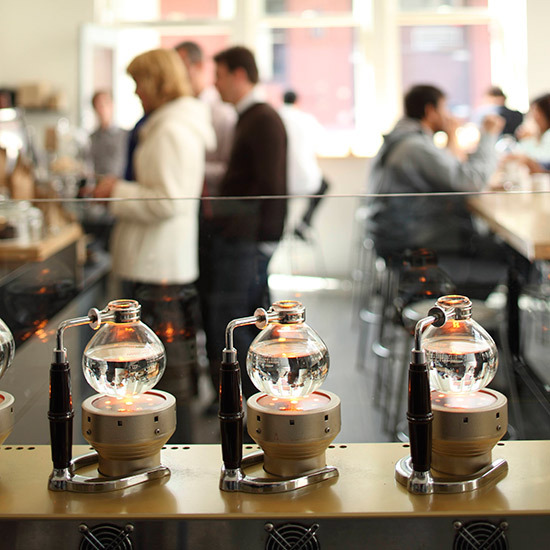 Now with 21 locations between the Bay Area and New York, Blue Bottle has become a household name in boutique coffee brands with small batches of organic beans roasted in vintage machines. Freshness is a mantra here—all beans not sold within 48 hours of roasting are put into service—as either drip or iced coffee. At the Webster Street facilities, baristas pull shots of single-origin coffees from an impressive La Marzocco Strada espresso machine, while pour-overs feature single-origin roasts and one blended coffee. Unique in-house sweets include such experiments as saffron snickerdoodles and savory shortbread with Parmesan and fennel. As alumni of Stumptown and Ristretto, roasters Joel and Leticica Pollock received some of the best coffee education you can get in the U.S. And what started on a bicycle cart now has three Miami locales and coffee sourced from small farmers around the world. 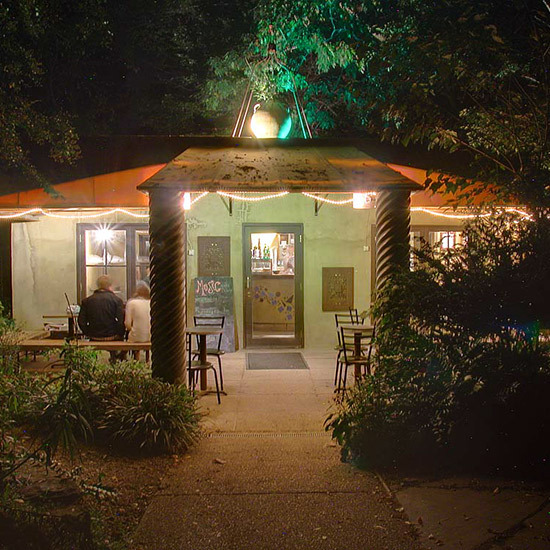 This artisanal espresso bar is literally off the beaten path, surrounded entirely by woods. Espresso drinks are made with beans from Carrboro Coffee Company, and there's even an in-house humidor for those who want to smoke a cigar on the outdoor terrace with their coffee, beer or wine. 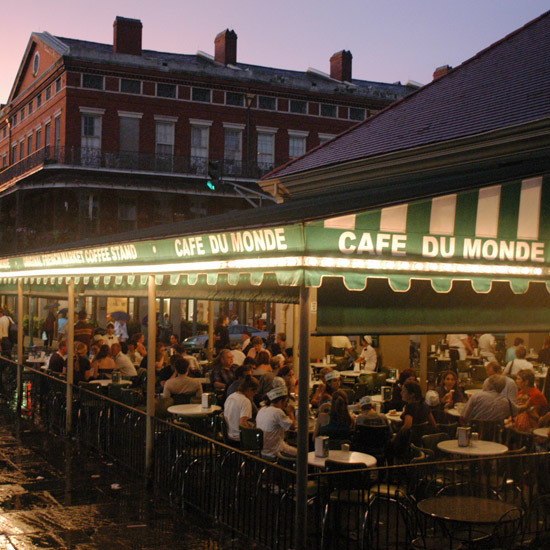 An essential French Quarter stop, Café Du Monde has been serving chicory-spiced coffee, black or au lait, for over 150 years. Chicory, first introduced to stretch coffee supplies during the Civil War era, is still used for its flavor, which enhances the rich chocolate undertones of dark-roasted coffee. 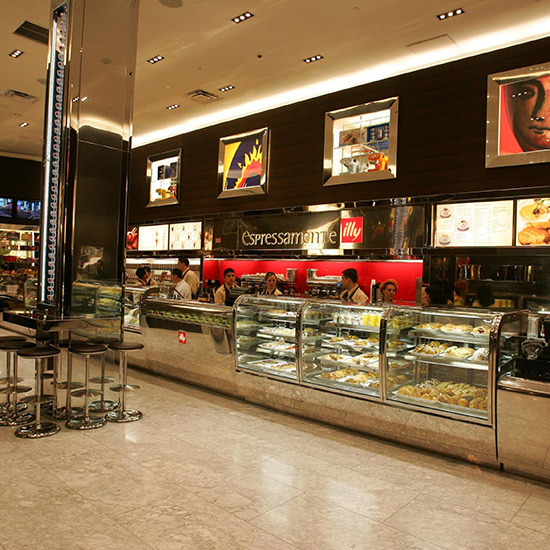 Tourists and locals line up at all hours for the specialty coffee, paired with the café’s justly famous beignets. Grumpy offers a rotating selection of single-origin pour-overs and a seasonally changing house espresso blend known year-round as Heartbreaker. The menu includes detailed tasting notes for every roast, such as the Best of Panama Auction #6, described as having flavors of hibiscus, toffee and blood orange. 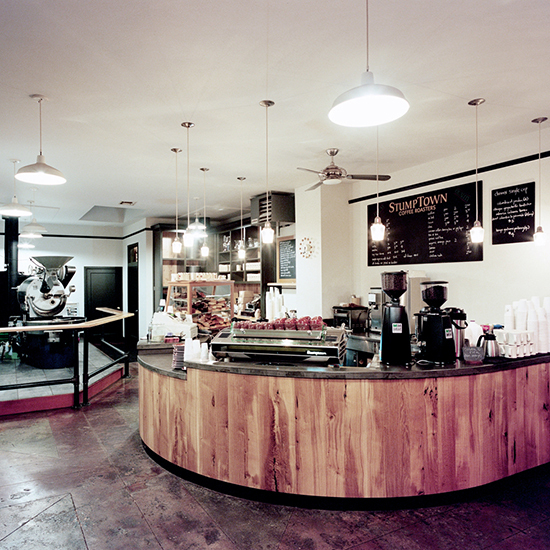 The Greenpoint location features tangerine-colored walls, worn wood tables and the company's roasting facility. 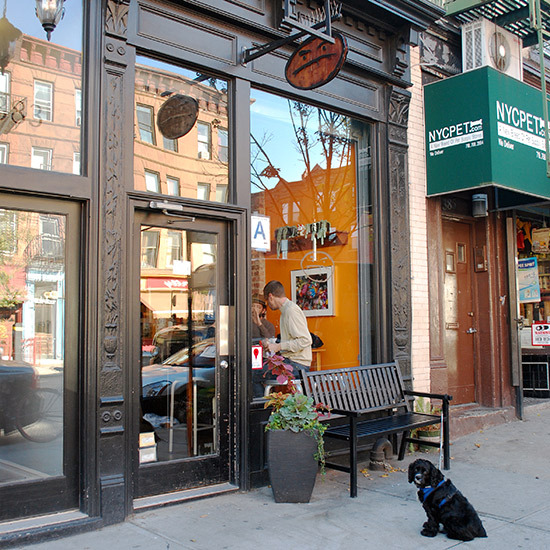 Most of this café’s notoriety comes from its decades of notable regulars. 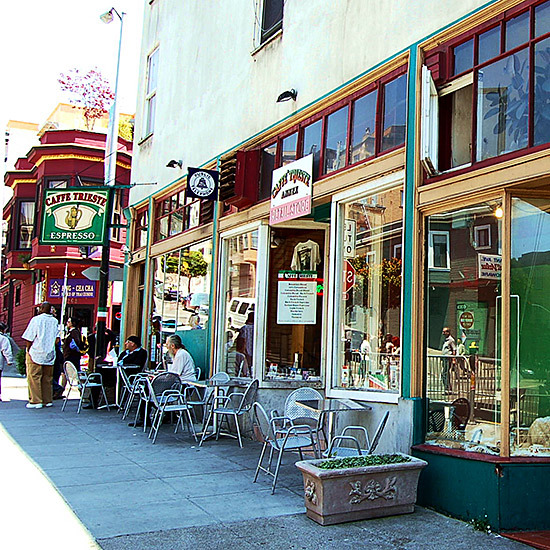 Beat writers like Jack Kerouac and Allen Ginsberg frequented this North Beach coffee shop for its Italian-style coffee when it first opened in the 1950s, and the walls are now peppered with photos of celebrity regulars from over the years. Keeping with tradition, the register still only accepts cash, and most Saturday nights, live musical acts belt out Italian-American ballads accompanied by an accordion player. There is stainless steel throughout the space, but chartreuse accents and a fun sculpture built out of bicycle rims prevent this "lab" from feeling sterile. 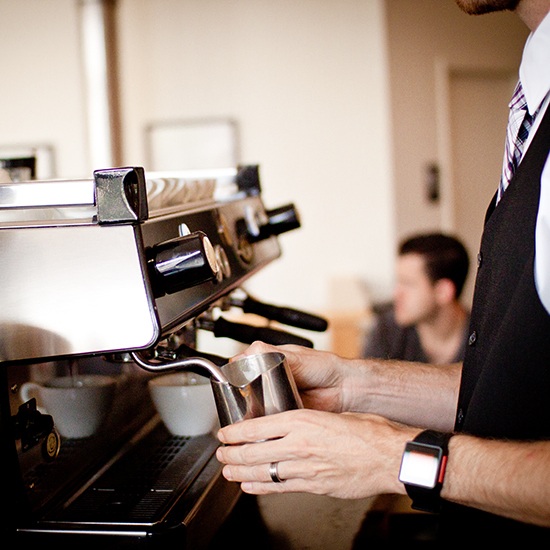 Plus, approachable baristas are happy to explain different brewing techniques. The café, which has five more locations in the Phoenix-area, also sells "roaster’s choice" subscriptions, with hand-picked selections from roaster Paul Haworth home-delivered weekly, monthly or bi-monthly. Hawaii transplant and former competitive barista Melody Harwell is the person responsible for introducing Oklahoma City to haute coffee culture. Harwell meticulously sources single-origin beans (with a firm shelf life of no longer than 10–14 days) for drinks using classic espresso and French-press techniques. 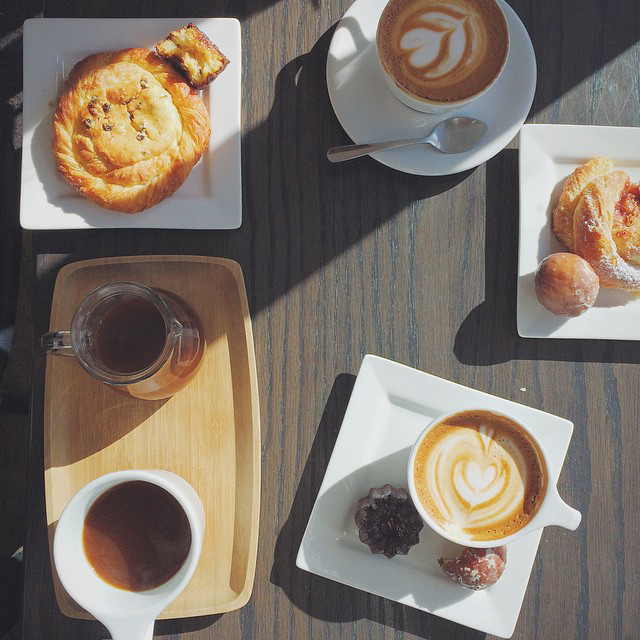 In coffee-obsessed Portland, Coffeehouse Northwest is touted as one of the city’s best cafés, offering serious coffee without the attitude. Pop art from local artists provides color to a mostly unfussy backdrop of exposed brick and reclaimed wood. Baristas crank out shots of Sterling Coffee espresso, single-origin pour-overs and rich hot chocolate made with Michel Cluizel Venezuelan dark chocolate and Portuguese sea salt. 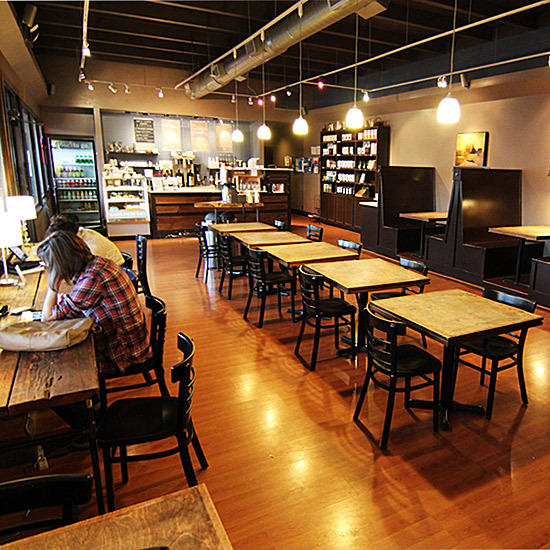 Unlike most boutique coffee bars, Dose doesn't have an ideal location (it's situated in a strip mall along a highway). But inside, an unexpectedly sleek coffee bar outfitted with polished dark wood and slate-colored walls offers hand-poured direct-trade coffees from suppliers such as Counter Culture Coffee and Humphreys Street Coffee. In addition to stocking beans from premium roasters like Dallas’ TWEED Roasters, Houndstooth’s in-house training program has coached a handful of local barista champs. Bare concrete floors give this café a modern, minimalist vibe; on "fancy Fridays," baristas dress up in bow ties and other finery, a fun contrast to casual-Friday wear. Intelligentsia's roots are in Chicago, but the Silver Lake outpost benefits from a sunny outdoor patio (and the occasional celebrity customer). Meticulously sourced single-origins, like the micro-lot from Santuario, Colombia (with subtle notes of raspberry and black currant), and the trademark Black Cat espresso are executed flawlessly. Expect to wait a few extra minutes as discerning baristas measure the temperature and volume of water used for each cup to consistently highlight the flavors in every roast. Opened long-before fair-trade coffee was common, Kaldi’s has been dedicated to responsible sourcing for their signature blends since the early 1990s. 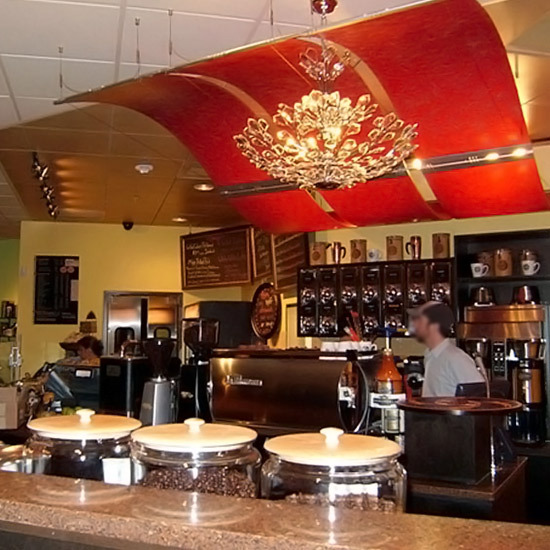 There are six locations throughout St. Louis, but the flagship café in the suburb of Clayton still maintains its original Bohemian charm, with bright red walls and mismatched picture frames showcasing the coffee selections of the day. 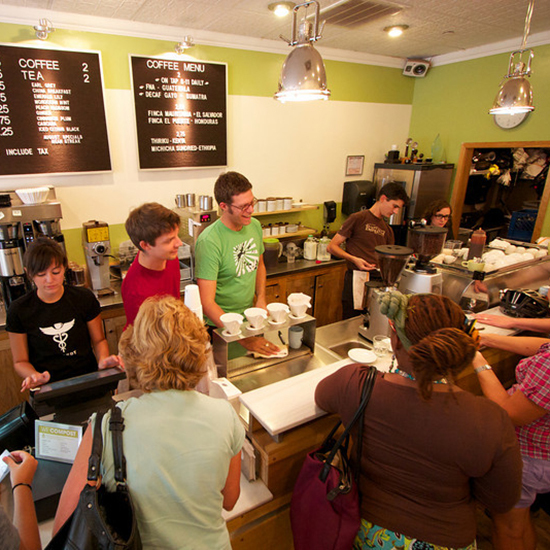 Kaldi’s beans are also stocked by most of St. Louis’s serious coffee shops. The absence of any visible menu at this minimalist coffee shop might be intimidating at first, but patrons are encouraged to converse with baristas to personalize an order. In addition to made-to-order drinks, La Colombe now sells bottles of cold-brewed coffee, called PureBlack, to go. The brand is rapidly expanding and now has locations in New York, Chicago and Seoul, Korea. At first glance, it’s easy to mistake this boutique coffee shop for a cocktail lounge, based on its swanky green chairs and sleek black tables that seem better suited for an evening out than a morning pick-me-up. But that’s exactly the vibe this Silver Lake cafe is going for: an ultra-trendy coffee bar serving carefully selected single-origin coffees and blends, plus an eclectic menu of dishes ranging from frisée au lardon to Japanese ramen with buna-shimeji mushrooms. 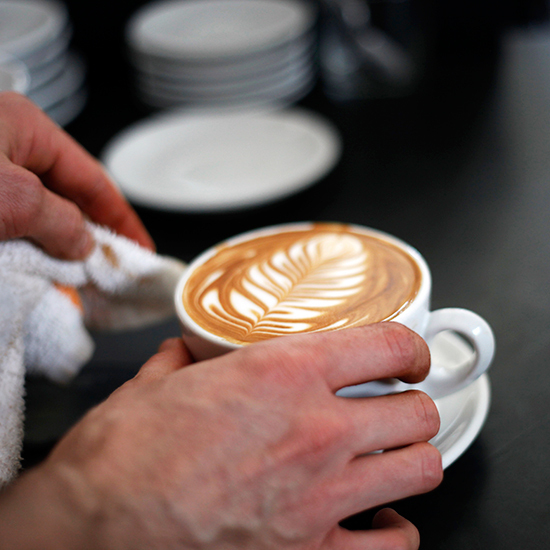 In addition to Grand Rapids's booming craft-beer scene, the local coffee culture is quickly gaining steam thanks to the roasters Madcap Coffee Company. Beyond the rotating seasonal blends, like the Six One Six coffee and Third Coast espresso, the company employs a handful of regional barista championship winners. Floor-to-ceiling windows allow natural light to warm the bare space, which features exposed brick and creamy white walls. 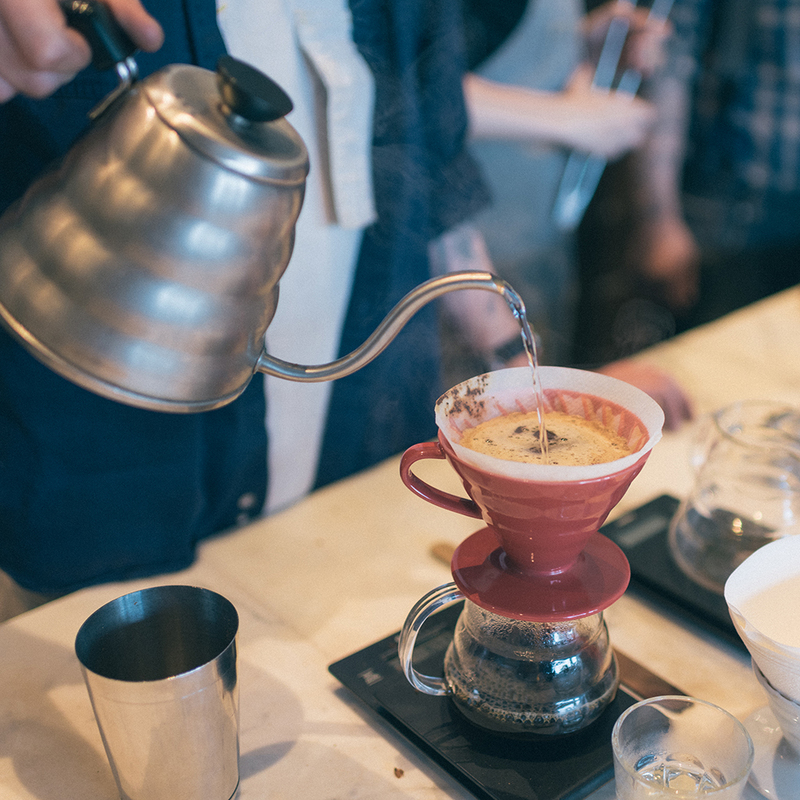 Housed in a loft-like space, Octane is Atlanta's go-to coffeehouse for premium small-batch roasts brewed in French presses and Chemex equipment. 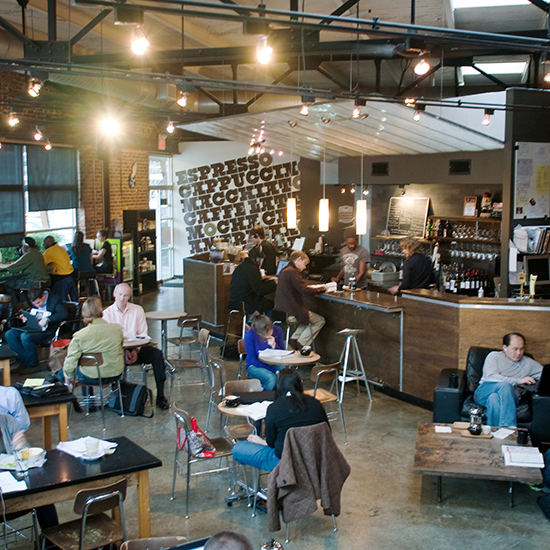 The Wi-Fi crowd quickly occupies communal tables and cushy leather couches during the day. By night, the vibe gets loungey thanks to a lineup of craft beers, wine and specialty cocktails. 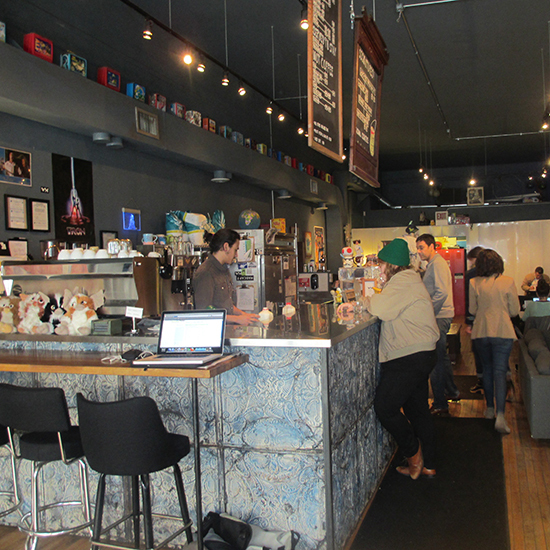 This coffee shop in the heart of the Berklee College of Music campus draws plenty students looking for a free Wi-Fi connection. But the appeal here isn't solely convenience. 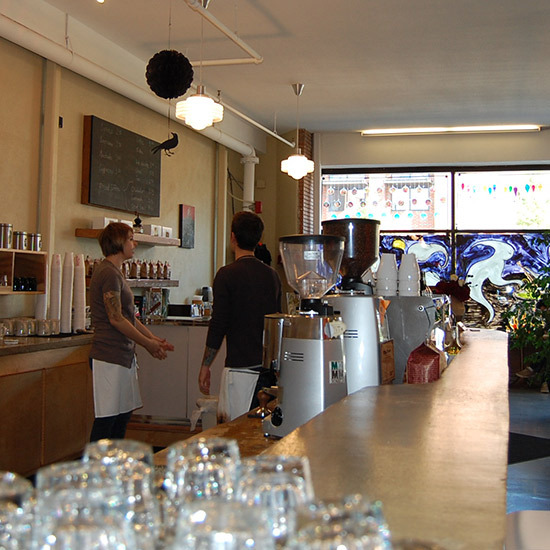 The spacious coffee bar uses indie roasters like Counter Culture Coffee, Stumptown and Ritual Coffee Roasters and also makes sandwiches to order. 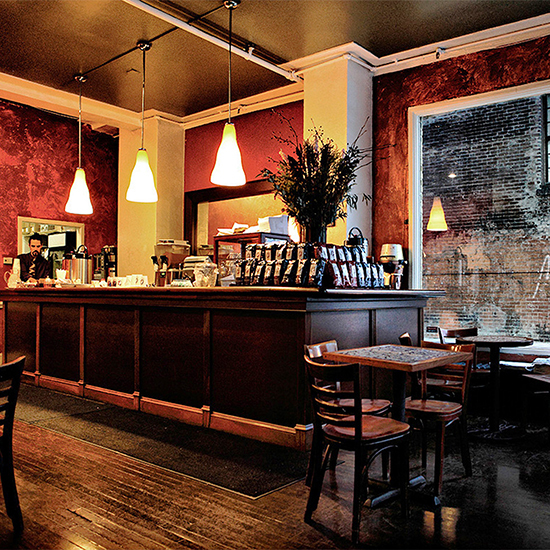 When a Capitol Hill café called Murky Coffee closed in 2008, former general manager Ryan Jensen and his wife, Jill, reopened it as Peregrine Espresso. 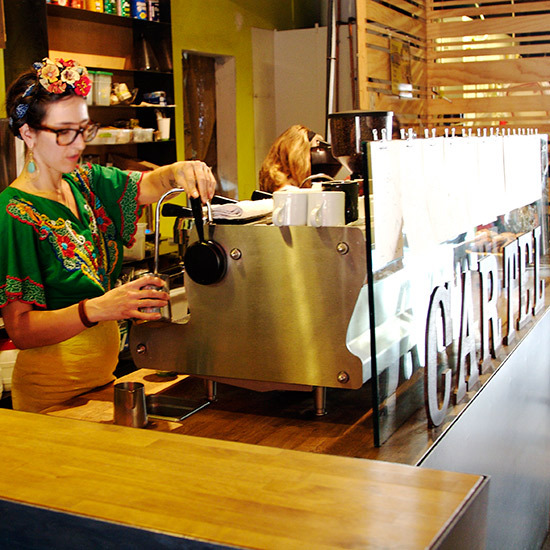 The couple now peddles high-grade pour-overs and espresso drinks, with beans supplied by Counter Culture Coffee. And we mean "peddle" literally—if you can’t make it into the shop, Peregrine offers bike—delivery service to local residents. Drawing inspiration from San Francisco’s co-op friendly coffee scene, Joshua and Sarah Bingaman created a coffeehouse that blends their love for art, music and sophisticated coffee. 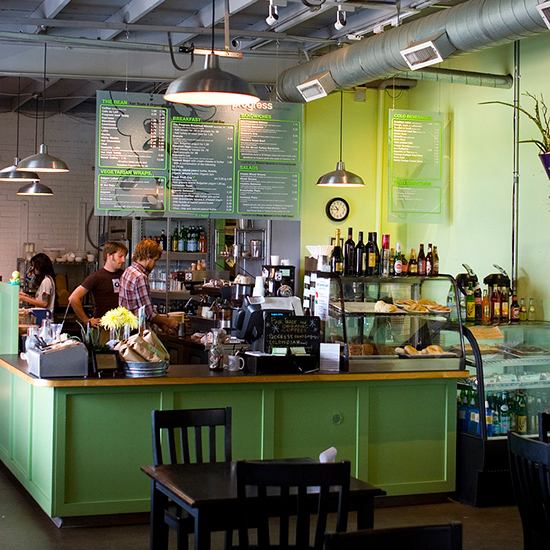 Supporting Austin’s indie community, the shop sources custom blends from local roasters Owl Tree Roasting, organic produce for the café menu, and even gives away its nitrogen-rich coffee grounds to patrons who compost. The industrial-chic loft provides ample room for record-release parties, art openings and other events. Behind the lengthy wooden bar at this neighborhood coffeehouse, passionate baristas chat with customers about brewing processes and the farmers behind their organic beans. Coffee is roasted upstairs, and during warmer months, regulars lounge on the back deck and hang out with staff during the occasional summer barbecue or local band's rock show. The company is even planning a new roasting works down the street that will allow independent roasters to work under their blanket brand, Dark Matter. 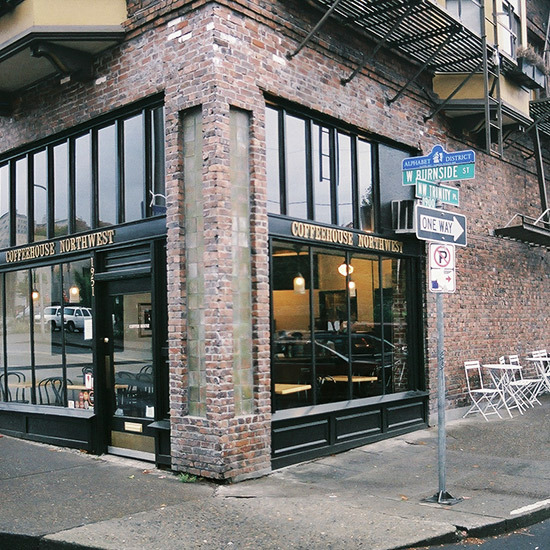 One of the original boutique coffee roasters, Stumptown has been leading the coffee revolution in Portland since 1999 and now operates nine locations coast-to-coast. The lofty Division Street café in Portland features an in-house roaster for small batches of coffee, bar seating and a garage door that opens out onto the sidewalk in warm weather. Baristas extract the house blend Hair Bender using several methods, from traditional press pots and espresso machines to the latest vacuum pots, pour-overs and Chemex devices. 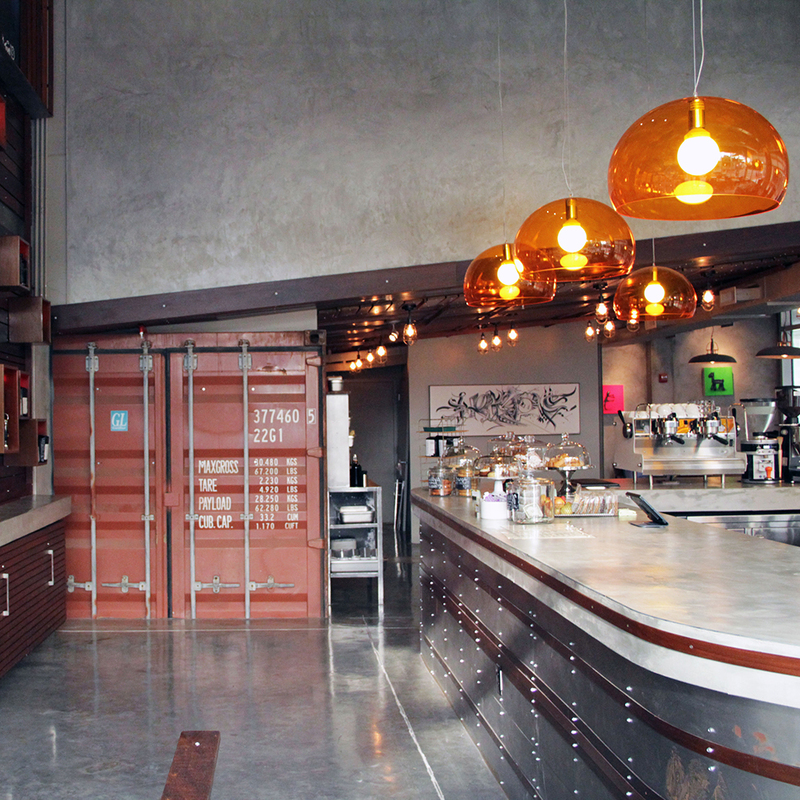 A coffee shop that gains recognition in Starbucks's hometown demands attention. 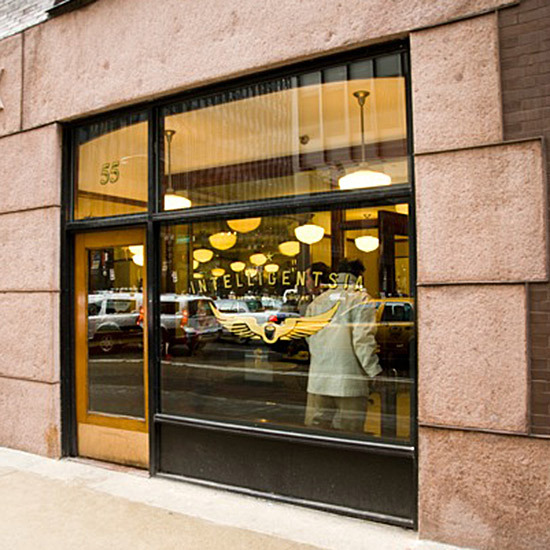 Victrola hand-picks organic, fair-trade blends and single-origin crops from around the world, processing and brewing cups at their Pike Street roasting facilities. 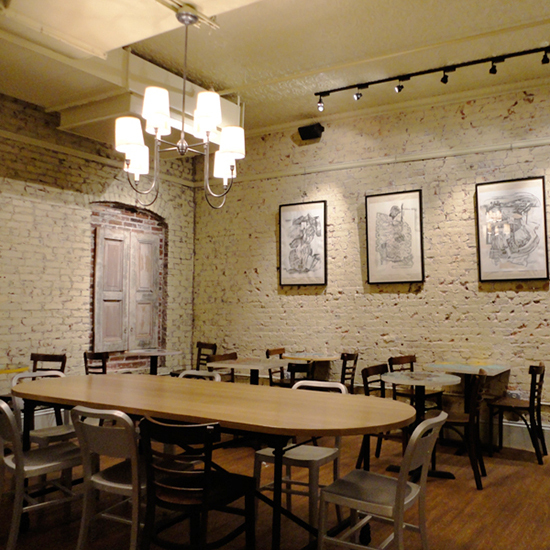 The space features exposed brick, wooden beams and cushy bright red couches where patrons lounge with their laptops.